The Dreaded Info Dump. Did you wince a little as I wrote that? I know I did. That’s because the info dump is something very easy to do, because after all, it’s a great way to explain to readers why they should care about our characters, right? Well…not so much. It’s actually something we should all avoid as much as possible, so please read on as our guest Leslie Ramey, Co-Founder of Compulsion Reads, dishes the real deal on INFO DUMPS. Pssst! 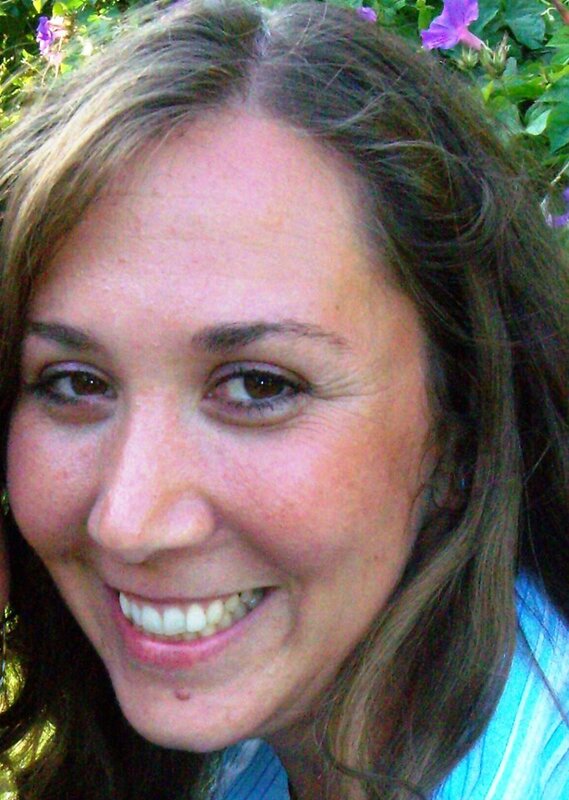 Afterward, please swing by Angela’s World Of Writing (yes, another Angela! We are taking over the world, bwahahahaaa!) where she’s sharing my post on Dealing With Rejection. The big issue with info dumps is that they stop the story dead in the water. The important thing to remember is that readers are smarter than we often give them credit for. They don’t need to know right now that your protagonist, let’s call her Jane, got stood up at prom in order to understand that she is having a hard time accepting that Hottie McNaughty wants to take her on a date. If you set up the scene well we should be able to see and feel her apprehension without having to read about that dreadful night at prom. By merely hinting at Jane’s painful past, you can create tension that helps keep the reader engaged. The other problem that info dumps cause is that it’s nearly impossible to “show” an info dump. They almost always end up being “tells”, which affects a reader’s ability to fully immerse themself in your prose. When you stop to tell us why Hottie McNaughty doesn’t date drop dead beautiful women anymore we get pulled from all the emotions he feels when asking out Jane, and that’s a bummer. It would be like the power going out just as you were getting to the big scene of your favorite movie. Sure, the power will come back on and you can restart the DVD, but the moment has passed, and it’s just not the same. 1. Ask the question “Is this information critical to the scene”– Most of the time the answer will be ‘no,’ in which case you can limit how much information you are passing on. The reader doesn’t need to know right now that Jane’s mom belittled her, which is another reason she is skeptical of Hottie’s invitation. We should have already gotten the hint in the way that Jane acts, the way she dresses and through dialogue with her friends. 2. Sprinkle the information throughout the book- Instead of giving us all of the details right out of the gate, give us little bits here and there. Not only will this allow you to avoid overloading us with information, but we can slowly get to know your characters and the world you’ve created. In our example of Jane, you could have her in a dress shop with her BFF when she sees a row of prom dresses and shudders. She can then convince herself not to think about that horrible night. We readers know that we are going to find out what happened and are on pins and needles to read the big reveal later. 3. Let your characters hash it out– This tip can be very helpful and can go very badly, so keep your creative beast on a short leash when you try this technique. Have your characters discuss their backstories in believable situations. While Jane is in the store staring at the prom dress have her BFF remind her that not all men are like the loser who stood her up on prom night. Jane’s BFF could even go so far as to drop a line about how Jane’s mom was wrong, and that she really is a beautiful girl who any guy would be lucky to date. Look at that, not only did we reveal two big backstory moments in what could have been 100 words, but we also get to see Jane’s reactions to her BFF, letting us connect to Jane even more. The trick behind this tip is not to go overboard. Remember, readers are smart, and if you are using dialogue to retell a backstory we will know it and stick our tongues out at you for torturing us. I know how hard it can be to avoid overloading your readers with information, but remember readers are smart, so don’t insult them. Instead, pull those info dumps, sprinkle your backstory throughout the book, and create a stronger, richer story that will fully immerse readers. 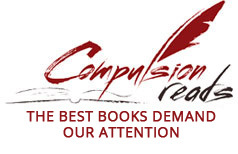 Compulsion Reads, created by Jessica Bennett and Leslie Ramey, seeks to shine the spotlight on quality indie books by endorsing those books that meet CR’s strict quality standards. Learn more about Compulsion Reads by visiting www.Compulsionreads.com. Enjoy our kooky video, read about our endorsement criteria and visit our growing library of endorsed indie books. You can also find us on Facebook and Twitter. I think this is great advice, and I agree that it can be a large problem in novels, especially in those opening chapters as we try very hard to make the reader understand who our character is and why. A big thank you to Leslie for coming by to share a lesson gleaned from reading many, MANY books! How about you, Musers? Do you have any other techniques to deal with bringing out critical information WITHOUT resorting to the big, pace-stopping info dump? This is a big struggle for so many of us, so please share! This entry was posted in Pacing, Uncategorized. Bookmark the permalink. Yeah, critiquing is helpful on SO many levels. People have pointed out infodumps in my early drafts and at first that stings because we do think that info is necessary. The more we read published stuff, crit and get critted, the more we begin to see that infodumps are not good. Personally, I think it’s a good idea to use more than one technique to avoid the dumps. I love seeing characters reveal tons about their relationship by what they say–or don’t say–to each other and by body language. It’s a learned skill, for sure, but my favorite books all have stuff like that. Great post. Sometimes I have a huge tendency to make my book a info dump, but my extra critical CP catches it immediately. Great post! I think even descriptions can get dumped too. How often do we actually look at someone and think about every one of their facial features at once? It’s nice to see descriptions and information spread throughout a book. This is a wonderful reminder. I’m going back in to check my book for info dumps. Sprinkling them gradually through the story keeps the readers tongue hanf=ging out and the pages turning. I just finished A Gift Of Ghosted by Sarah Wynde. She doled out back story in little sprinkles and I loved it. I couldn’t wait to find out more about Akira and the town of Tassemara. I did not realize until I saw the information at the end of the book that it was self published. And I could wait to real the sequel. It’s a really well done book. And no, Pen and Ink has no connection to Sarah. I just became a fan. And I thought her work was a good example of what you were talking about. Thanks Angela for being such a great host and for all of the comments left by readers. I think we are all in the same boat when it comes to info dumps, so it’s great to see everyone’s suggestions and to know we are not alone in our struggles. Thanks for the tips. I had someone beta read my last draft and his comment was he felt distanced from the characters, among other things, info dumping was part of the problem. It can be a challenge. What helps me is to write the first draft without worrying about it, and then fix it in rewrites. It also helps that I write using fairly nonlinear timelines. Very easy to want to put it all out there, but works so much better in gradual steps. Great post. When I’m writing my first draft I go ahead and dump that info. During the second time through the manuscript, I find if I cut my first chapter that’s about the right place to start without info dumping. I definitely agree, critique partners are so critical to us spotting our info dumps. In fact, this is another reason in general to get involved with critiquing. The more we do it, the more we see what they look like in other people’s work, and it helps us know what not to do in our own. @Natalie, definitely series are a challenge. Most that I have seen have a scene happen almost immediately that has a conversation or event occur that is strongly tied to the outcome of the last novel, sort of ‘showing or discussing’ the aftermath, but in the context of what it means for the world and characters moving forward. In this context, it doesn’t feel dumpish because usually the ending of the last book reveals a new or deeper problem or challenge for the current book. So the book starting out acknowledging this new plot point as a result of the past event (the last book’s climax) feels like we’re still moving forward, not rehashing the past. I think the big thing is to make this moment or scene short and too the point, and have action happen so it pulls us deeper into the story while filling in a few blanks. Sometimes this scene is a prologue, and works as a bridge between the old book’s final climatic event & setting, and where the new book starts off. The Wheel Of Time series does this in some books. Let us all read these words of wisdom. I loathe the info dump! As soon as I feel one coming on, I drop the book. I don’t have the energy to follow along. Sure, use back story to enrich your writing. Just don’t put it all in one clump like a frozen sugar cube in luke-warm coffee. Bleh! I’m reviewing a book for a tour company and the first 3 chapters are nothing BUT an info dump for backstory. I guess the author never did his research on how best to sprinkle in pertinent information. Wow, after reading this, I wonder if I’m a info dumper. Great post! I was reading some of the first things I’d written a month or so ago and noticed huge info dumps. I think it’s just a practice makes perfect kind of thing. Thanks for this important reminder. It is so easy to fall into the dumps!
. If I find myself writing an info dump, I cut it from the work and past it into another document. I try to figure out what is needed now and what I can put elsewhere. I may have to go back and add some to what I’ve already written to effectively get all of the info out. I have to agree that CPs are the best for this sort of thing. My stories wouldn’t be half as good without mine. I like the idea of spreading it out, I think it also doesn’t reveal everything at once. This is one of the best things about CPs: it’s so much easier to spot in someone else’s work than in your own. Love the list! There’s lot of great insight, here. Number one stands out to me the most. I find myself constantly asking myself is said info is necessary to the scene I’m working on. Often, I find that only a snippet of the info is necessary at that particular point in the novel. Good post with some great tips. Great post! Thank you for the awesome tips! Great post! It’s so easy to fall into this trap. Thanks for the tips. I’ll keep them in mind when I turn to my WIP later. Great tips. You’re so right that the reader doesn’t have to know everything right away. I write fantasy and sometimes it’s hard to get the balance right so you don’t info dump but get out some important things about the new world you’ve created. I agree with the sprinkling idea but sometimes there seems to need to be a conversation that could seem like an info dump. Any tips in that situation? Great blog!! We do have to give some background info, but in sips, as we go along. Thanks for the reminder!! This is so difficult to avoid when you’re writing a book series with stories interlinked. One cannot take the chance that every reader has already read the first/second/third book. Should one opt for a mini prologue to set the scene for new readers, and would encourage them to buy the previous books? When I browse books that are ahead in a series, I find it’s hard to catch up with what went before without some information.